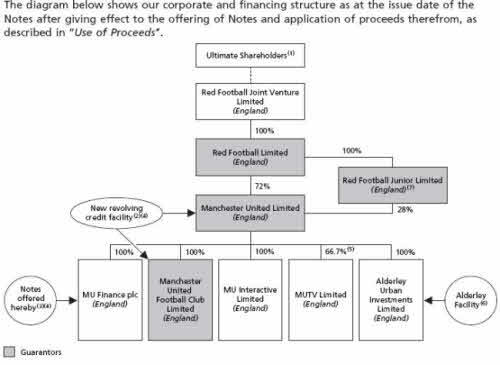 There has been a lot in the British press over the past week about the shocking level of debt being carried by Manchester United, which currently stands at £700m or $1.114b. That’s right, more than $1 billion. Along with that announcement came a lot of very distressing details. The UEFA Champions League is your basic Royal Rumble of European club teams. The big leagues send their best teams to directly into the round robin phase of the competition while the smaller league champions have to fight through a qualifying stage in order to make the 32 team competition. Progressing from the round robin phase to the 16 team one-and-done knockout phase is important to big and small clubs alike because the payday of a Champions League knockout game is the footy equivalent of divorcing Tiger Woods. If a smaller club can make the knockout rounds, it suddenly finds itself with an enormous unexpected windfall. Conversely, large clubs often set their finances with the expectation of making the knockout rounds of Champions League and find themselves in dire straights if they fail to progress (see: Liverpool & Juventus, circa yesterday). Law enforcement officials in Germany announced today that 50 raids in Germany, Switzerland and England have resulted in the arrests of 17 people in connection with an alledged match-fixing ring. Those arrested are described as “leaders of the gang.” A further 200 people are suspected of being involved in the match-fixing ring. The gang is suspected of fixing the results of some 200 matches, including three games in the Champions League and 12 in the Europa League. Matches in at least nine countries including Germany, Belgium, Switzerland, Croatia, Slovenia, Turkey, Hungary, Bosnia and Austria are believed to have been tainted. No matches in England, Spain, Italy or France are believed to have been affected. Authorities did not say whether the manipulated Champions League or Europa League matches took place in the qualifying rounds or group stages.